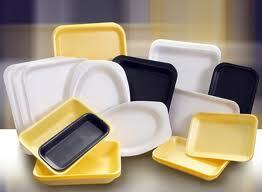 NEW YORK: The New York City Council passed unanimously, the bill to ban the use of Polystyrene (Styrofoam) last week. The bill is now expected to be signed into law. Also, new law requires large food waste generators including restaurants and grocery stores to compost the material themselves. Both the laws will take effect in July 2015. The bill introduced by the NYC Mayor Michael Bloomberg claims to address a major environmental issue, as the PS foams are not easily bio-degradable and takes years to get decayed in landfills. The city’s recycling facilities currently are not equipped to processing PS foam products, which the restaurants mainly use for packaging food items. The city residents by throwing the PS foam products along with plastic recyclables actually hamper the activities of recycling vendors who in turn are forced to segregate the PS foam products by hand. According to statistics, nearly 23,000 tons of plastic foam is thrown out per year in New York.